Daniel P. Phillips is an Associate of Belkin Burden Wenig & Goldman, LLP. Mr. Phillips practices as trial counsel in the Firm’s Litigation Department, where he appears regularly in the Civil and Supreme Courts, handling complex residential and commercials holdover and non-payment proceedings. 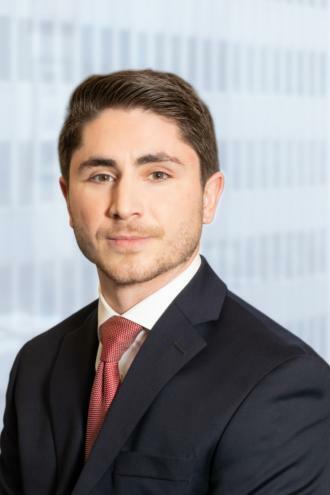 He has been published in the New York Law Journal for victories in cases involving issues of rent overcharge, deregulation of rent regulated apartments, and succession rights. Mr. Phillips also specializes in Certificate of No Harassment proceedings. Notably, Mr. Phillips was successful in obtaining a Certificate of No Harassment after trial by rebutting the finding of harassment. Mr. Phillips has lectured at the Kings County Housing Bar Association on the current changes in the law regarding rent overcharge and the deregulation of rent regulated apartments. He was also the Co-Founder of the New York Law School Trial Competition Team established in 2013.